The "magic sign" have some magic seats available for the 2006 WSOP main event. Last year 42 Ladbrokes players made the trip to Vegas, you could join the Ladbrokes team this summer. Conner "Sealey" Tate was amongst the 42 players who played in the largest WSOP main event field in history, in 2005. Tate grabbed 12th spot in the mammoth Vegas tournament, pocketing a cool $600,000 in the process. - $80 + $8 WSOP Daily Finals are running 6 days a week at 19:45 (excluding Wed), these are fed by $8 re-buy satellites that run throughout the day. The weekly online WSOP final starts from February 8th. A direct buy-in will set you back $750+$50, so take advantage of the great satellite events above. - $1,500 buy-in to the NLHE warm-up event on Tue 25th July. - $10,000 buy-in to the Main Event commencing on Fri 28th July. - $1,000 Consolation event on Thu 3rd Aug, if you do not make the last 1,400 in the Main Event or $1,000 cash if you finish 1,399th or lower, but outside the money. - $2,500 towards your travel and expenses. - $3,000 of free accommodation for two at the Rio. - Additional Ladbrokes Hospitality in Vegas including Welcome Party. Ladbrokes Poker is clearly one the places to be this February for WSOP seats. 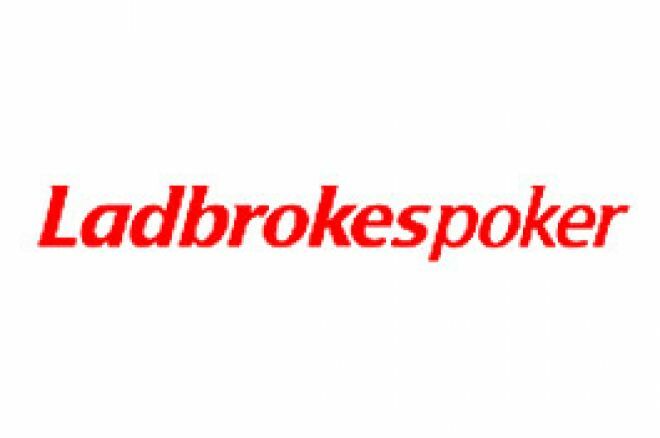 Ed note: We'll throw in a $100 bonus to new depositing players at Ladbrokes Poker this February.